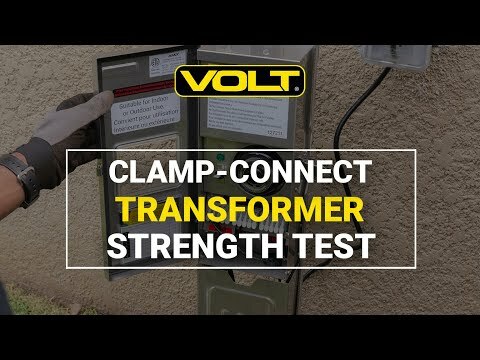 Exclusive VOLT® Innovation: 300W Clamp-Connect 12v/15v LED Landscape Lighting Transformers - featuring easy-to-use clamp-type connectors. 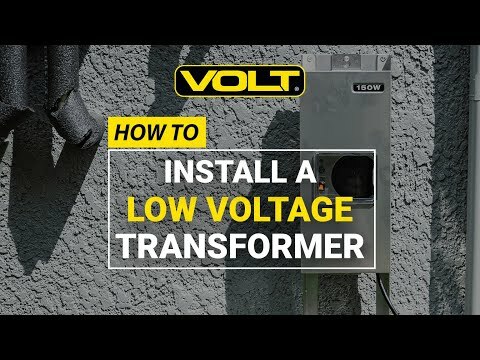 This 300-watt Landscape Lighting Transformer features clamp-type terminal blocks that offer many advantages over typical screw-type blocks. Requiring no tools, the stripped wires are inserted individually into each hole, then clamped in place. The process is fast, simple, and provides extremely secure connections - you can't pull them loose. The choice of whether or not to use a toroidal core also depends on the system load. Systems with relatively high loads - such as lighting systems with 10 or more fixtures, benefit the most from toroidal cores; smaller systems - such as those with less than 50 watts of load, are served well with EI laminated types.